Curator and cultural producer, Susana Moliner has extensive experience in curating and implementing artistic, collaborative and experimental culture programs, specially between South of Europe and West and North of African continent. She has carried out the development of artistic proposals such as: Africa Light with Yassine Balbzioui, Max Boufathal, Badr El Hammami, Rustha Luna Pozzi-Escot, Fatima Sabri et Amadou Sanogo (2009 in Bordeaux, Bamako and Dakar), Côte à Côte with Yassine Balzioui and Matteo Rubbi (2014, Rabat and Sardinia), Wekalet Nehna-We Agency with Nadia Hotait, Maxon Higbee and Marta Vallejo (2015, Alexandria) Retratar un Clima with Elise Fitte-Duval (2014 Madrid) and Privatisation d’un espace par son ciel with Cheikh Ndiaye (2016, Dakar). 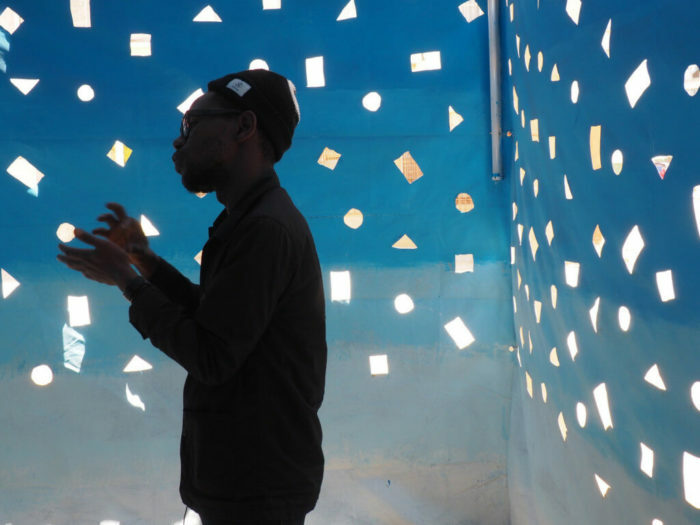 She has actively participated in the coordination of various projects related to free culture and open knowledge such as: Rose des Vents Numériques (2010 – 2012 in Senegal, Mali, Martinique, South Africa), Pixelini Festival (2011, Bamako), Objetos Comunes (2015- 2016, Madrid) as well as the contents of Afropixel Festival editions in 2012, 2014 and 2016 for Ker Thiossane in Dakar within the framework of the Contemporary Art Biennial of Dakar. 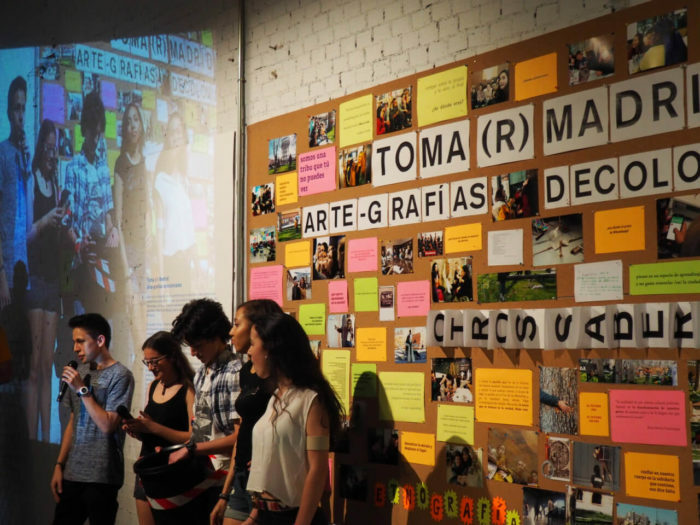 She has coordinated pedagogical experimentation projects such as Tomar Madrid – Artegrafias Decoloniales (2016) with M. Moscoso carried out within the framework of “Una ciudad, muchos mundos” program at Intermediae-Matadero or the co-design of the program La Aventura de Aprender in 2014 with Spanish Television. 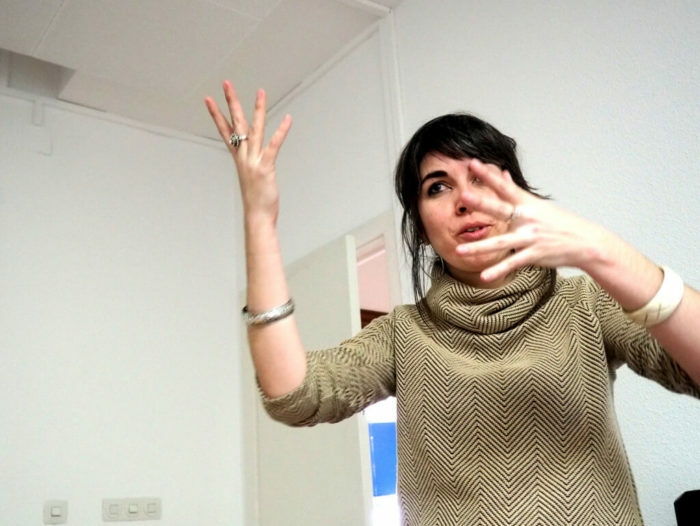 She currently coordinates the research collaborative project Cocinar Madrid within the framework of “Imagina Madrid” program promoted by the Culture Department of Madrid City Council. 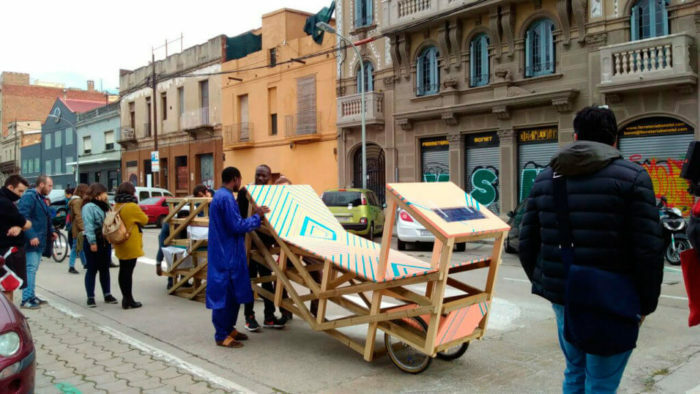 Between 2017 and 2018 she has curated and implemented Experimenta Distrito, a citizen laboratory from Medialab Prado and Madrid City Council in Fuencarral District. 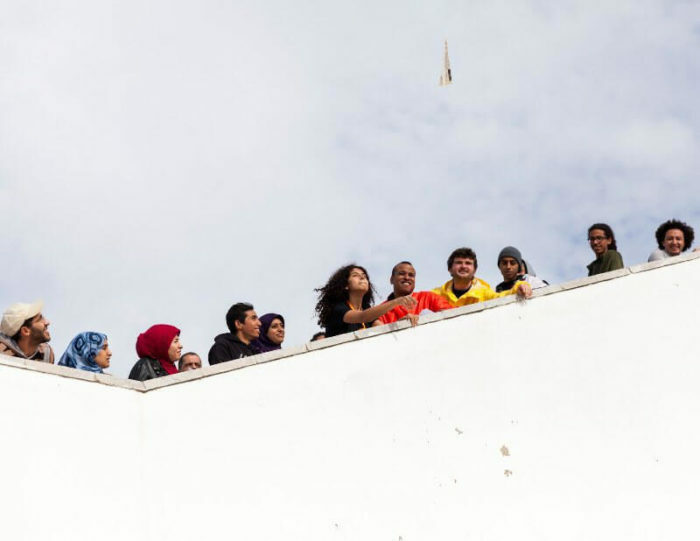 From 2016 she has been coordinating and curating Grigri Pixel a program of residencies, meetings and workshops, based in Medialab Prado, around collaborative, artistic and digital culture of the African continent, a project developed in collaboration with the International Cooperation Agency of Spain AECID. Susana Moliner is born in 1980 in Madrid. Festival de Lancer d'Avion en papier, as a part of the project "Côte à Côte" at Le Cube - independent art room, 2014.